This time we’ll review an authentic Japanese phono cartridge: Shelter. 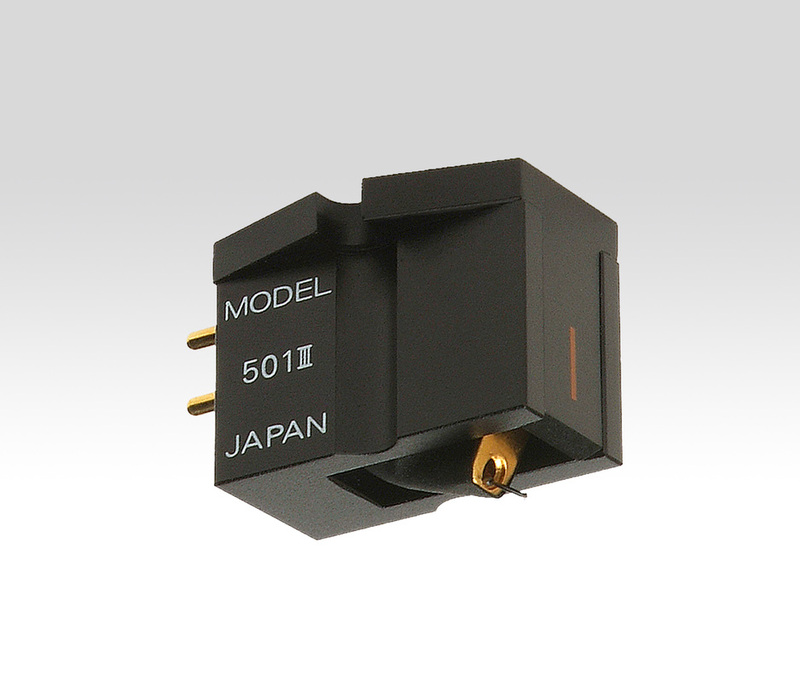 The headquarter is in Japan, the owner is Japanese, the elegance of this phono cartridge and its packaging recall that minimal style that is so common in Japan. Shelter in English has a clear meaning and the name for this model seems really spot on. 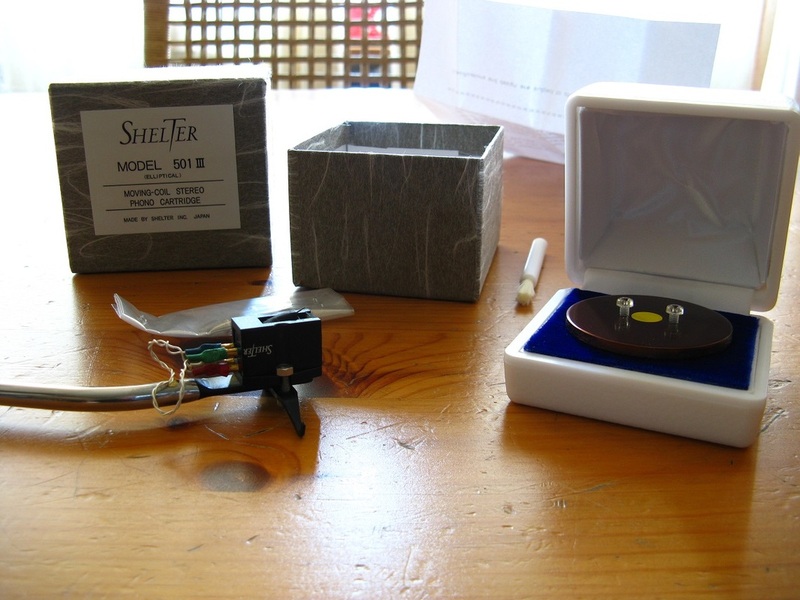 I do not know what the manufacturer had in mind when he gave this name to his phono cartridge but somehow the characteristics of this Shelter protect music and its reproduction. Shelter is well known for its name but very few have listened to it carefully. There are not many reviews, but once you buy this cartridge and listen to it you do not abandon it so easily. The Italian distributor has changed in recent times and the brand seems to be a bit more in vogue now. You may have noticed that I like to put in my writings references to personal situations and about Shelter I remember a friend in love with the brand, when at the end of 90’s the brand maybe it was not even imported in Italy; one afternoon I visited him for the usual listenings and made me listen to a lot of vinyls for my judgment on that yet little-known brand. I must say that actually the sound I was hearing, in that system that I knew quite well, was certainly interesting, for two main parameters. The feeling of great speed of the sound in the rise times, as - especially - in the decay times. I remember that in a meeting in Vicenza, an audiophile brought to my attention that I listened to a bad sound because I was using a Dynavector D17 that, because of its very short cantilever, according to the audiophile, had a too fast sound. My response was "The music is not born with the handbrake on!". The correct speed, even and especially in decay times, causes a stroke of the bass drum, for example, that recalls what is heard live, where the shot is followed by a short resonance and not by a long "moan", as you can hear with the systems that have some problems in the low range. And then the dynamics that certainly is not lacking in the Shelters; needless to say that what gives emotion listening to live music it is the huge difference between pianissimos and fortissimos. When at the theater you sit in the parterre and the director begins to count the beats for the attack of the trumpets and trombones in Strauss’ “Also sprach Zarathustra”, the sound starts with very low intensity because they only play the organ pedal along with cellos and double basses in "tremolo"; but when the brass start the sound becomes much more powerful, until, at the third repetition of these intervals of fifths, explodes the whole orchestra in that wonderful chaos of sounds that takes your breath away (listening to the composition live, for me, is always recommended; clarifies many doubts and many certainties collapses). And in the end, live, it turns out that just the breathtaking dynamics is what gives emotion. For a long time here in Italy the Shelter were considered an elegant clone of the Denon DL 103. This happened not only with Shelter but also with other brands. Well, even if the inner components are that of the 103, a product that is solid and produced in big quantities, and for this reason with more guarantees than others, I don't see anything strange. ​Anyway, the Denon components are modified afterwards and attached to a cantilever and a stylus that are very different from the conical cut of the 103 or from its aluminium cantilever. All in all, even if two cartridges use the same inner components, the overall result can be very different. The 501 is at its third version. It has a very thin cantilever covered in boron and has an elliptic shaped stylus. Its body weights 8.1 gr. The manufacturer does not suggest a specific tonearm; according to some considerations and attempts made, the ideal mass shoud be above 15 gr. Also with tonearms around 10/11 gr the results are not bad at all. 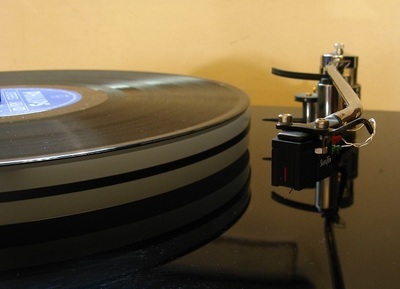 The Blue tonearm of the Mørch has been used with an additional weight of 3 gr and the resonance frequency was around 10 Hz, but with a better dumping if compared with that of the Blue alone. 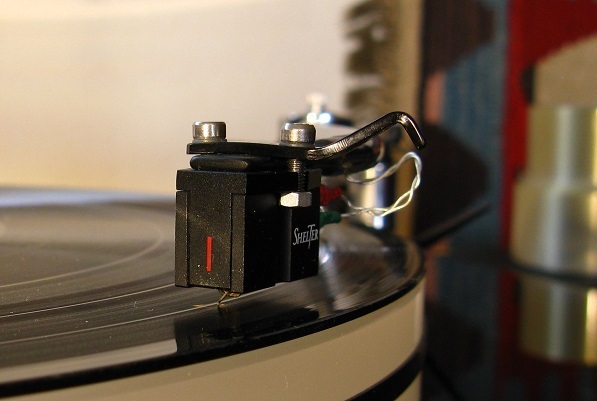 For this reason I suggest tonearms with at least 15 gr of mass. As for the leveling with the record I think that a normal and correct parallel position is more than enough to have excellent results. I have used a weight of 1.6 to 1.8 gr with a preference to the heavier weight that with my set-up gave a better result and a sensation of a richer sound. 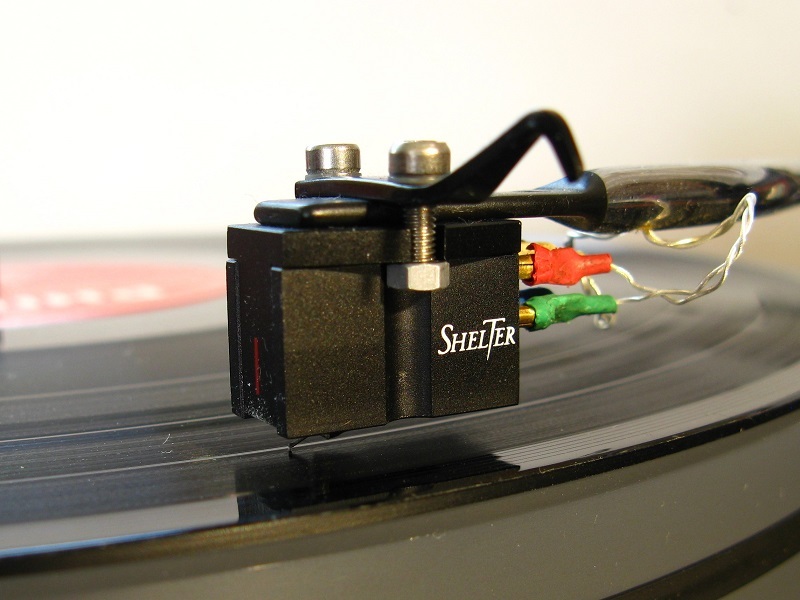 Shelter suggests to use their step-up transformer, but with an active phono pre amplifier they suggests to remain in a range of 100 Ohm. I have tried 50 and 100 Ohm and I must say that the results obtained were very similar. I read here and there that the sound is sometimes a bit “short” in the high range but I have not noticed it in my system. The 501 III works fine also with different loads; i.e. the sound with 200 Ohms determined a clear transparent sound in the top range without a loss of other characteristics such as dynamics, sound extension and bass control. 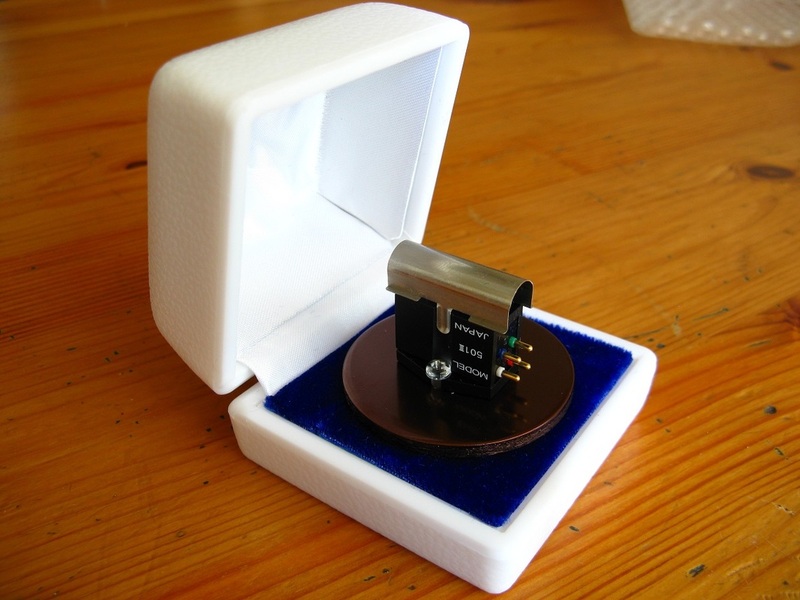 ​The gain of the active phono amplifier should be around 63/66 dB: the stated output voltage at 5 cm/sec is 0.5 mV. Well, just a couple of things more: the packaging is very nice and elegant just like those small ring boxes of the jewelry shop. 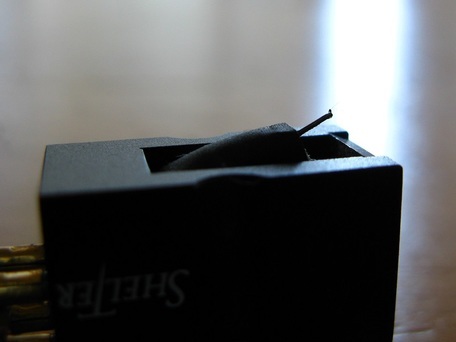 The stylus protector is very useful to avoid damages to the needle while mounting the cartridge. The square body and the perfect alignment of the cantilever made the mounting with the template possible in few minutes. The price: 1.499.00 Euros in Italy, taxes included. Bauer DPS 2 turntable with Morch DP6 tonearm and a Lyra Kleos cartridge, Thorens TD150 turntable with SME 3009 Improved and Denon DL 304 cartridge, American Hybrid Technology -P phono amplifier, Lehmann Black Cube phono preamplifier, Lavardin C62 preamplifier, Bryston 2B-LP power amplifier, Davis Acoustics Monitor One loudspeakers, with the same cables of ever. ​I was with Angelo while listening to the Shelter for the first time and I must say that the sound impressed both of us. The sensation of a live sound was very strong and perfectly fitted to my system, that is already free in its dynamics and uses high sensitivity loudspeakers. I have listen to many of the historical recordings of the 50's and 60's for audiophiles. Holst- Suites directed by Frederick Fennel on Telarc, the Suite from the Oiseau de Feu by Stravinski directed by Shaw on Telarc, the legendary I've Got the Music in Me with Thelma Houston and the Pressure Cooker (Sheffield) … I wanted to test the Shelter and see if these recordings could somehow enhance its live trait. Well, yes. 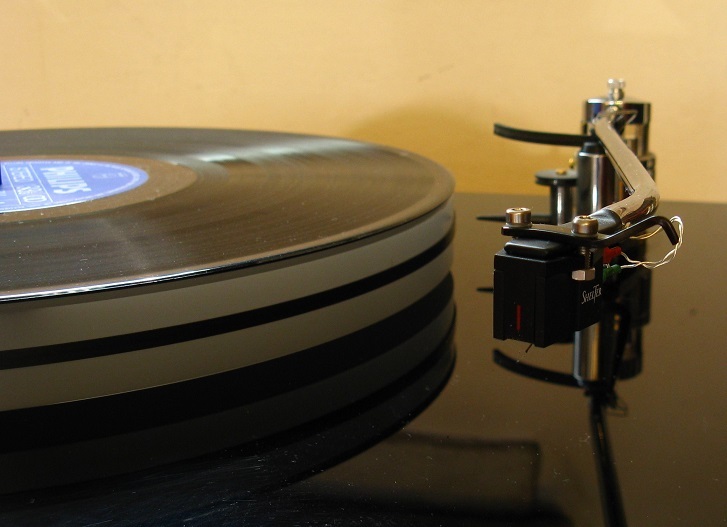 The brand new phono cartridge easily drifted on the records with a good control of the low range (better than my Lyra Kleos and Denon DL S1 do) and a very good tracking. Dynamics was natural and lively. A nice sensation of natural sound that made me think of the concerts I often listen in the Auditorium in Milano. The sound was shiny, sometimes scratchy - the phono cartridge was brand new - but there were no frequency ranges in evidence. After one week I listened again to the same records and things were not changed exception made for the little roughness in the high range that had disappeared. I usually listen to the execution by William Steinberg of Also sprach Zarathustra by Richard Strauss on label DGG. I think this version is more dynamic than Karajan's execution (or Böhm’s). I have both the original vinyl record of the '70's and the CD of the series "The Originals". There is no comparison between the two. The CD version is squeaky, annoying while the vinyl record played with the Shelter 501 III has a live sound, the big percussions are dumped and this makes the vinyl far more enjoyable than the CD. With my Lyra Kleos the orchestra is sharper as for many small details but it is "heavier" as if the instruments in the low range were not in tempo. With the Denon SL1 the orchestra sounds smaller. The score envisages 110 instruments and with the Shelter they are all very present and in evidence. Reading what I just wrote, one might think that this phono cartridge is "too much" and not apt to listen to Baroque, old music, string quartets and so on. But if we keep in mind that dynamics is very important in music, we realize that a dynamic cartridge may be very suitable instead. St Matthew Passion by Bach (Herreweghe, Harmonia Mundi, 1990 first edition) or the Ode for the Birthday of Queen Anne by Haendel (Hogwood, Oiseau Lyre) sound really great with this phono cartridge. The sound is delicate, therefore the volume must be kept quite high and the acute singing of the soprano results annoying exactly as it is in a live concert when sitting in the parterre of the music hall. After a few days of burn in the roughness of the hi range has disappeared. I have not noticed though big changes in the performance from the new and the used cartridge. The 501 plays well straight from the beginning and shows right away its temper. The Shelter has a good microdynamics. The vibrato of the violins for example is very natural and pleasant while with my Denon this detail is not in evidence. With the polyphonic choirs it often happens that one voice is louder than the others. 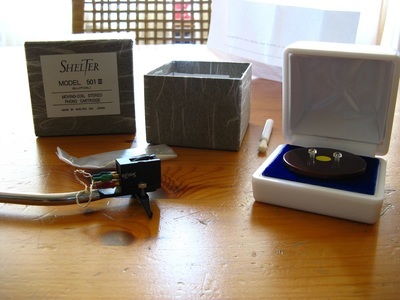 With many phono cartridges these details are not present but with the Shelter they are. If you prefer a very explosive low range, well this is not the right device. The low range that we have with the Shelter is correct, without “tails” and its performance depends on what is recorded. It is never exaggerate and may be this is the reason why it is so exciting to listen to big orchestras because there is no confusion between double bass, bass drum, cellos and timpanis. Very interesting is also the sound of the piano. In the LP DGG with the Gaspard de la Nuit by Ravel played by Ivo Pogorelic the piano is dynamic, real, well positioned in the room and the tracking of the stylus is correct from the first keys of Ondines up to the enraged Scarbo. As for the timbre there is nothing to say. What about rock and jazz? These two genres do not represent a limit for this cartridge and the cartridge does not limit them. I have listened at an illegal volume Syncronicity by the Police and I have had the proof that the Shelter 501 III is made for rock, too. Well I do not know which is the genre that fits more this cartridge. I liked it with all the music I have played. Bad recordings remain bad recordings but I have listened with pleasure also to the Aretha Franklin’s Live In Paris. The listening of the Concert for Trumpet and Orchestra by Haydn on vinyl, a recording of the '70s , has been more convincing than ever. The only thing to keep in mind if you do not use a step-up is what sound you want to obtain. If you want a sweet sound do not exceed the 100 Ohm, if you want a more open sound use 200 Ohm. I you load it with 300 Ohm or more, the sound becomes harsh. This Shelter 500 III gave me a sensation of live sound that is more evident than that of other cartridges of the competition of the same price level. If your budget is around the price of this phono cartridge, this device is a step better than the competitors. If you want a sound that is sincere and not sweetened this the cartridge to buy. The timbre is correct, the dynamics is good, it is a wonderful way to "plunge" in your music. ​The price is very good for its performance and also because I do not think you'll want to change it before you have listened to your whole collection of records.